An aerial image hightlight a soft bride and groom's kiss. 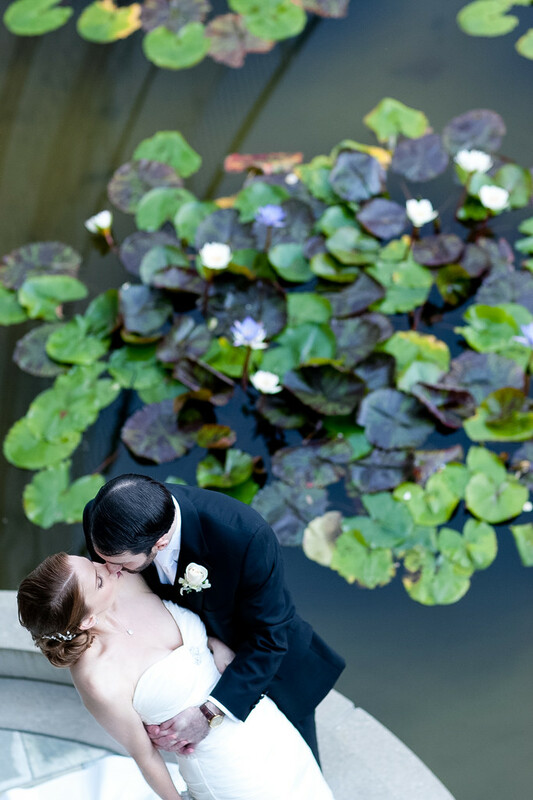 The lily pads help offset this tender moment at the water feature at Skirball Cultural Center in Los Angeles, CA. Location: 2701 N Sepulveda Blvd, Los Angeles, CA 90049.